Making Classroom Materials More Effective: Can Neurolinguistics Help? Neurolinguistics connects how the brain learns with the current learning processes and methodologies as L2 learning is directly linked to actual changes in the brain. With that in mind, this presentation will attempt to combine neurolinguistics with materials development so as to maximize their effectiveness for the learners. 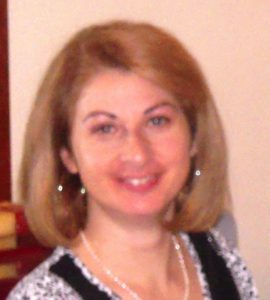 Panagiota Frytzala is the Head of the English Language and ELT Department at New York College and an ESP/EAP teacher. Who is Panagiota Frytzala? What is the single characteristic that you want most people to know about you? I consider myself as a teacher who always seeks to advance her knowledge in the field. One way to do so is to be actively involved in research, and that is one of most important professional goals. As I will be attempting to link Neurolinguistics with Materials Development, something that is quite new in the field, I feel that it can Transform some of our colleagues’ ideas and Transcend into a new way of approaching teaching materials. I believe all of them are essential in our professional field, but the core will always be Teach. After so many years as a member, it means not only professional development but most importantly the chance to interact with good friends/colleagues. To mix business with pleasure! May it always be one of the most important beacons of our profession.